The due date for a book is stamped on the date label in front of the book. 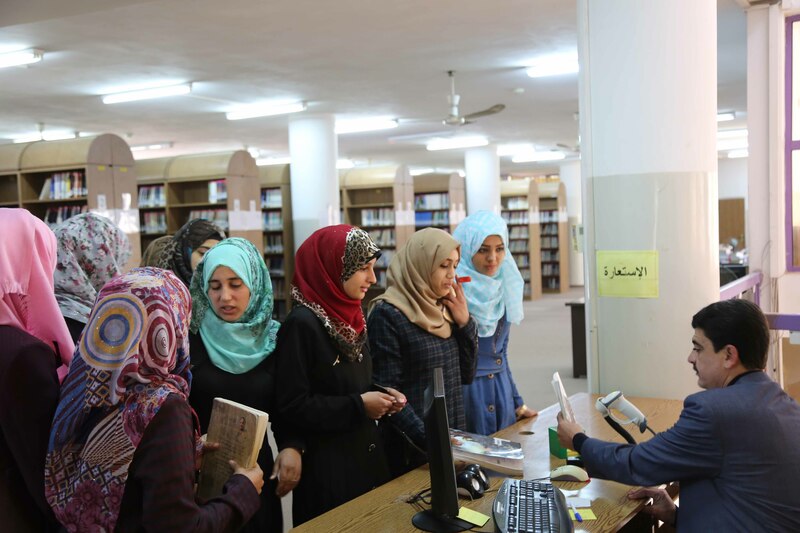 Beneficiaries who do not return or renew the borrowed books by the date due will deprive the privilege of borrowing three times the overdue period. Repeated failure to return library materials on time will result in the assessment of fines. Beneficiaries who overdue returning their borrowed books twice will be charged a fine estimated (1) JD per (4) days of overdue. The beneficiaries are financially responsible for the damaged borrowed materials which are in repairable condition. The director of the libraries will assessed the appropriate fine in addition to suspending the privilege of borrowing for a month. Beneficiaries are responsible for totally damaged materials or lost while on loan period. If a material is lost or damaged beyond repair, the beneficiary should notify the library as soon as possible. The replacement fee for lost or damaged material is assessed by the director of the libraries. In addition; the privilege of borrowing from the Library will be suspended for a month. Note : Fines assessed for university staff/faculty will be paid through the concerned authorities, while university students fines will be added directly to their financial records. -For off-campus beneficiaries' fines are deducted from the deposited money with the application of all the previous terms concerning the fines and fees policy. University Staff members: the staff must agree on the borrowing instructions, which appear when they press Library Services icon, in order to be able to borrow again. University Students: The students must press agree to the library instructions which appear under university Services icon on their own electronic page to activate their circulation. Off-Campus Beneficiaries: They must sign on this system before registering in the library.